The Lumia 735 runs Windows Phone 8.1 with the Lumia Denim update. In other words, it has the most up-to-date version of the operating system available. 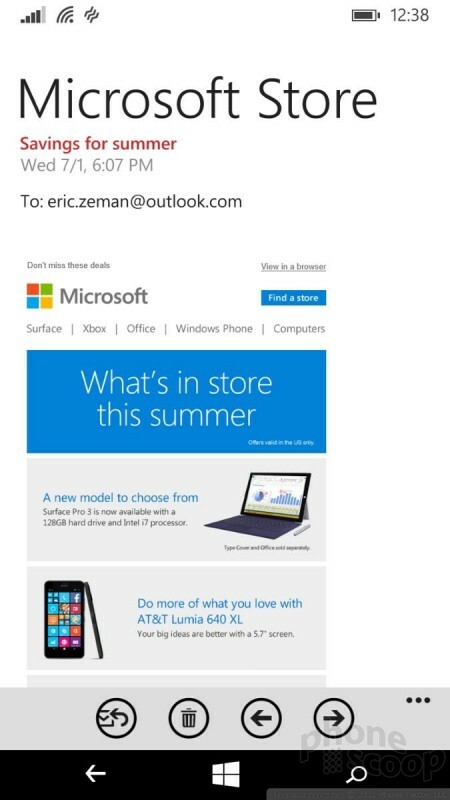 Microsoft hasn't specified if the 735 will be upgraded to Windows 10 Mobile later this year. The lock screen includes the clock, date, calendar appointments, and notification previews, but not Microsoft's Glance feature. 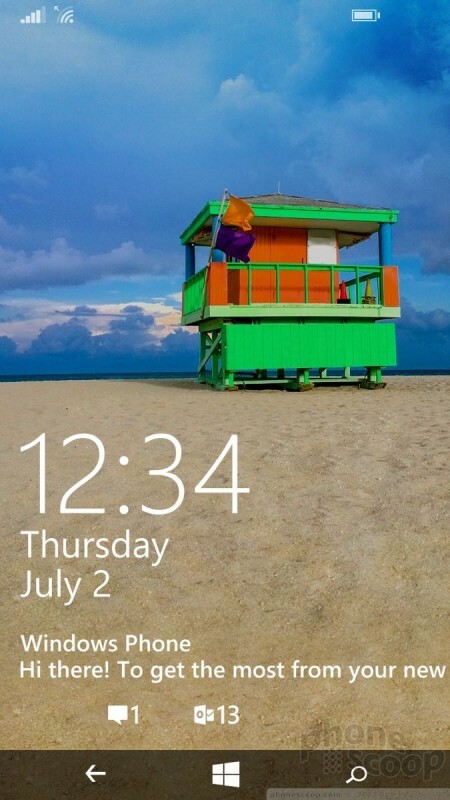 The lock screen also supports various backgrounds, such as Bing's Photo of the Day, your local weather, health and fitness data, or recent Facebook photos. 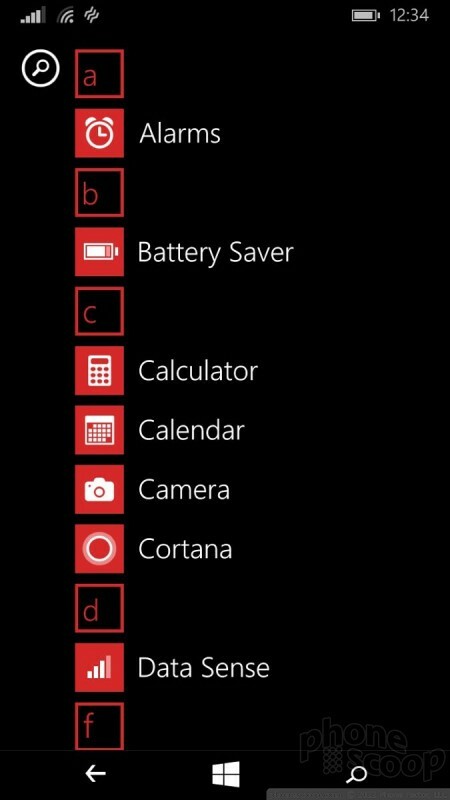 Windows handsets have a single home screen. Rather than offer multiple screens for apps, the Start screen is one extraordinarily tall screen you scroll through. 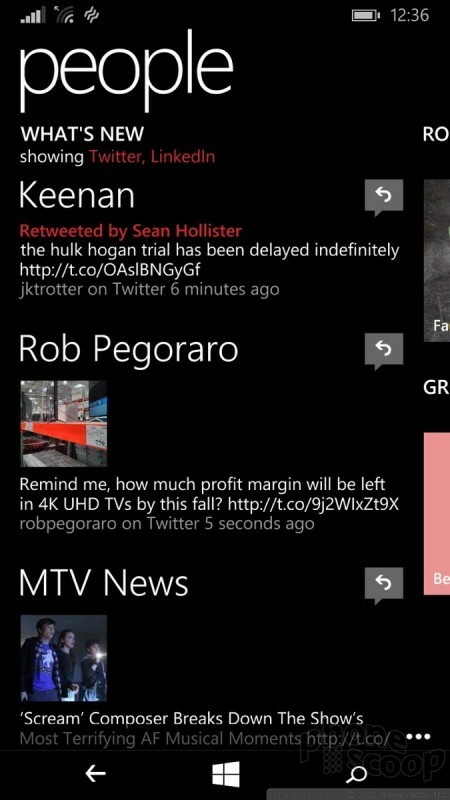 Essentially, you can add as many Live Tiles (icons/widgets) as you care to stuff on the screen. Live Tiles are available in varying sizes, which allow for near endless possibilities for arranging them on the display. The Start screen also supports folders for consolidating apps into one place. 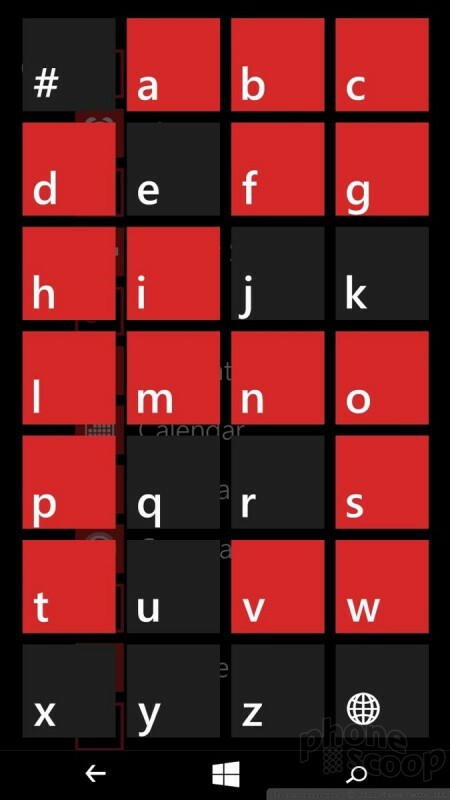 Swipe to the left to access the full alphabetical list of apps. The app menu can't be customized in any way. 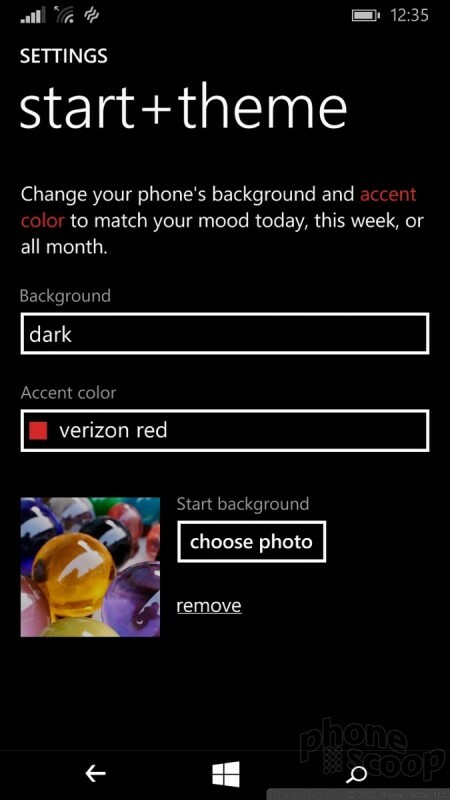 Microsoft added a notification shade to Windows Phone that behaves much likes those in Android and iOS, but it isn't quite as flexible. It handles the basics, such as actionable notifications and toggles for select functions. 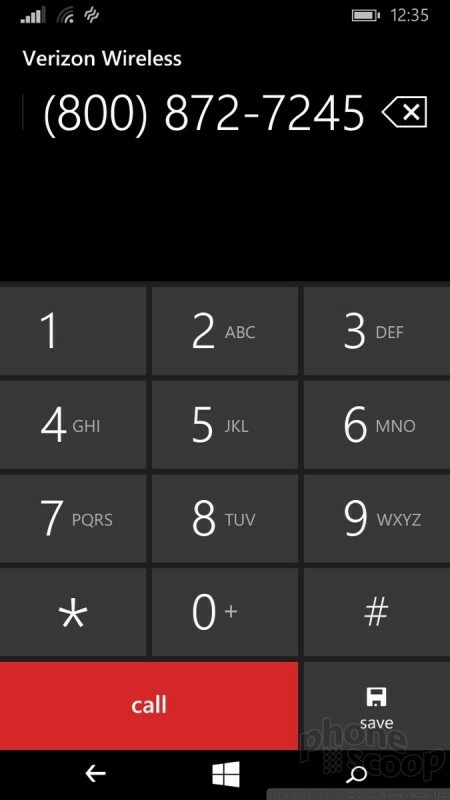 The newer Settings menu in Windows Phone 8.1 is more organized and easy to grasp. Settings are broken down into categories which makes the individual controls quicker to find. It's still a rather long list, but at least there's now some semblance of sanity. Qualcomm's quad-core Snapdragon 400 processor powers the Lumia 735. It's paired with 1 GB of RAM. Together, these give the 735 more than enough juice to run Windows smoothly. 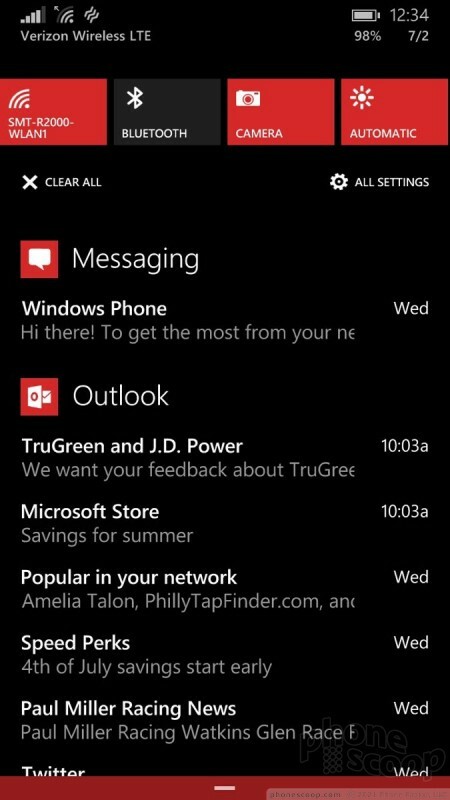 Microsoft has long neglected the phone app, which is a simple affair at best. 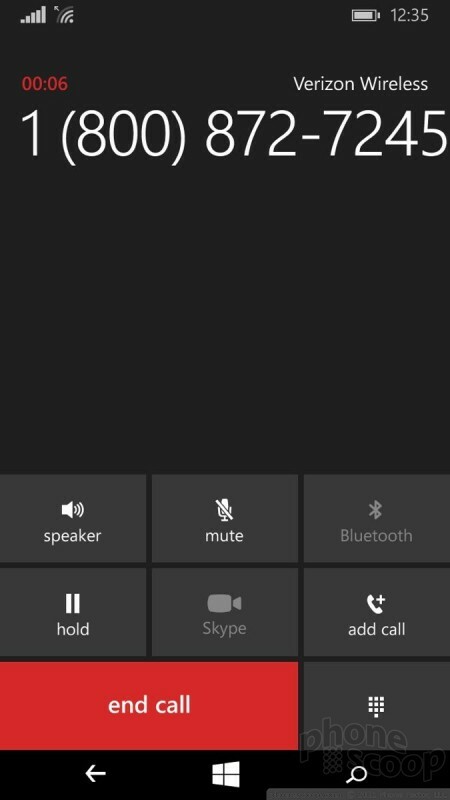 Opening the phone app shows the call history. 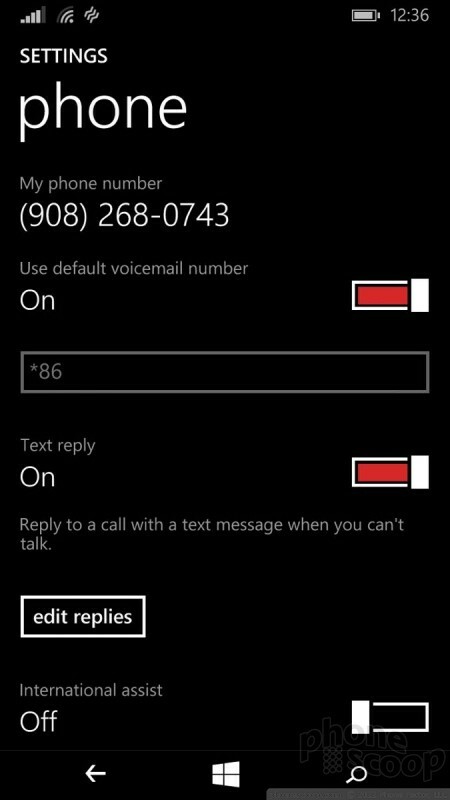 Voicemail, the dialpad, your contacts, and the search function can all be accessed via plainly visible buttons. Swipe to the left to access the Speed Dial tool. Settings let you adjust some advanced functions, like automated responses. Windows Phone sprinkles a healthy dose of social networking into the People Hub thanks to its integration with Facebook, Twitter, and LinkedIn. As far as contact apps go, the People Hub is as usable as any other. You can easily import contact lists from Google, Yahoo, Microsoft, or other databases. One panel in the hub shows your own most recent social network status updates and the responses to them, which is rather neat. 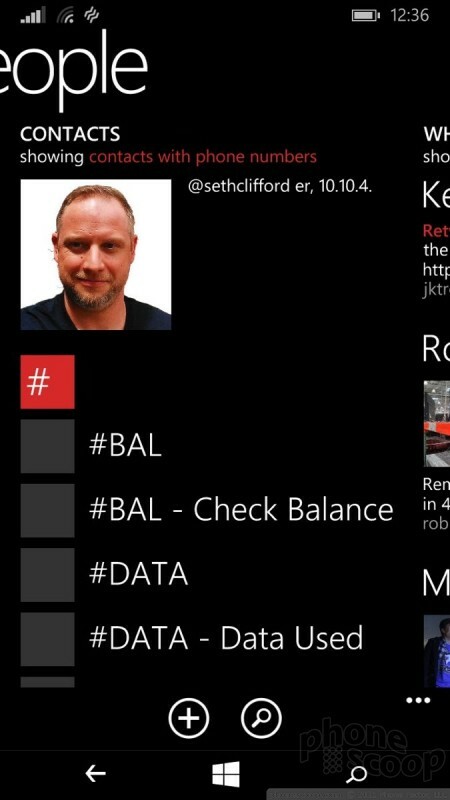 The 735 includes the base set of messaging tools that are part of Windows Phone. 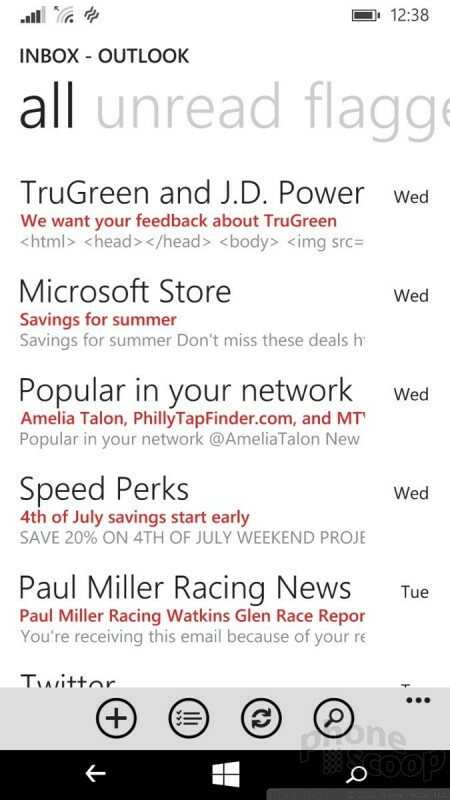 The email app is decent, but not as feature rich as what's available to Android and iOS. It does play nicely with any standard email service, however, and (naturally) syncs with Exchange for work accounts. The SMS app is relatively bare bones. It's a fine tool for sending simple text, picture, and video messages, but it doesn't do much else these days. I do like the overall look of the app, which is very clean. 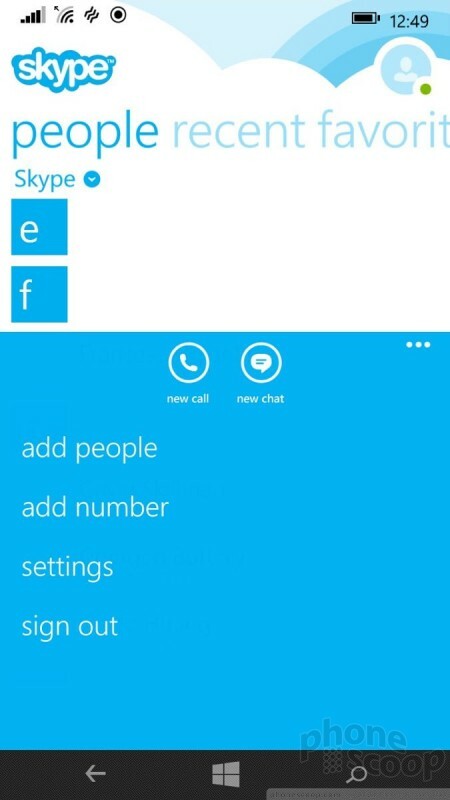 Skype is also onboard. It handles internet-based calls and IM. It's a solid app that works well. What's better, Skype works across platforms and devices, so you can easily transition from Skype conversations on your Lumia 735 to a tablet or PC. Facebook is pre-installed, but Facebook Messenger and Twitter are not. Those apps are available from the Windows Store, as are other third-party messaging tools like WhatsApp.